Penguin Parade. Youngstown State University. The Great Penguin of Ohio. 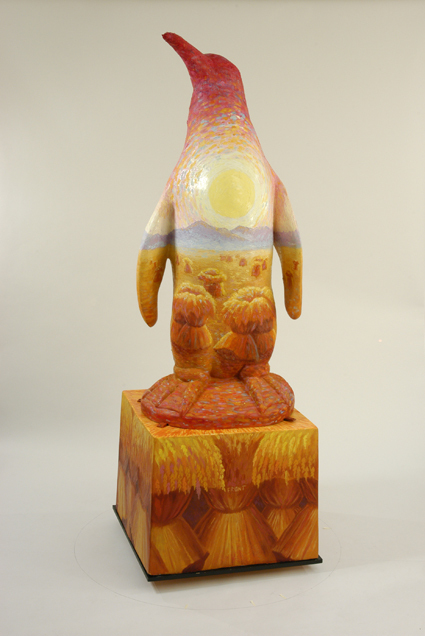 Oil Paint on Fiberglass Penguin. 6×4 feet. 2004. Sponsored by the Cafaro Corporation. Now on display at the Fine and Performing Arts building, Bliss Hall, Youngstown State University.